Affordable Graphic Design Services are available through our in-house graphic designers in order to produce a successful display or exhibit. Whether we are creating new artwork from scratch or polishing up an existing design, we keep you included in each step of the process of planning, proofing, and printing your design. Rates are $75.00 per hour (min 1 hour), plus photo and font purchases, and other incidental costs. When you state those clearly, and with bold inviting graphics, you’ll bring in more visitors—and more qualified visitors. Contact us via email at info@airbornevisuals.com, or find our phone, fax and mailing address on our contact page. If you are preparing your own artwork, please continue to our Art Guidelines, including accepted file formats and a link to our artwork upload location. Your exhibit architecture is often just a carrier for graphics. Graphics get visitors’ attention, create a mood or personality, communicate a message and benefit, and identify products and services. Your booth staffers will need a place or places to write and record leads. Larger exhibits may have a dedicated reception counter. You’ve got a lot of stuff to hide inside tables and closets: literature, giveaways, staffers’ bags, purses, planners and coats. Best of all: a place to store all those leads you’re taking. People come to get their hands on your products or to see your staffers demonstrate them. You may demo a physical product on a table, counter or in a space set aside for it, or demonstrate a software or system via a computer on a kiosk or table. Big or little, you can display products on kiosks, pedestals, tables, shelving, and merchandising accessories. But consider bringing only your biggest sellers or your key new products, and relying more on graphics. Do you exhibit at shows to get lots of one-on-one time with key customers, dealers, and partners? Depending on your discussions, you may want open, semi-private, or private—even with lockable doors. You may need seating, a raised platform for presenters, and audio/visual technology, such as a plasma screen, ranging from intimate seating for two to theatre seating for dozens—or more. To upload your graphic artwork, click the Upload Art button that will open a new page with a small dialogue at the bottom right corner. You will need to click on the Add Files button to select your artwork file(s) from your computer. Enter your contact email in the box labeled Enter your email address. (Note: the field directly above should read info@airbornevisuals.com). In the Type your message box enter a quick description of your order along with your contact information. Click on the Transfer button and you will see your file being uploaded, as well as a notification email sent to you once the upload is complete. Presented here are generic guidelines, required for the production process and to help us produce the highest quality print for you in the timeline you require. We recommend the use of our provided templates whenever available. See also our answers to frequently asked design questions below. When sending .psd files, do not flatten layers. Submit files in native file format. Using alternate art file formats may result in printing difficulties and additional art preparation charges. Do not embed linked files. Maintain all links and provide high resolution originals. Proportions of the art should match the desired final print size. We recommend that files be saved at 100 dpi at final print size. (?) 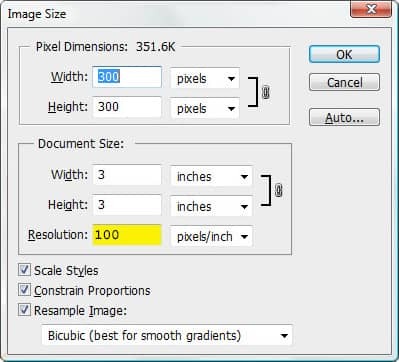 Resolutions below 100 dpi may yield less than optimal results. Do not “rez-up” low resolution files to a higher resolution. Define colors as a percentage of spot color when appropriate to image. Provide color matching information with your art files. If you provide us with Pantone® color using an updated Pantone® Color Bridge®, we will match defined colors as closely as possible. 100% reproduction of defined colors (PANTONE®, RAL®) is not guaranteed. If you are concerned about color matching, we recommend printing a sample at additional cost and production time. You may also send a color copy, proof, or color chip for us to match. Completed artwork should be uploaded to airbornevisuals.wetransfer.com. A low-resolution e-proof will be provided as verification of content and placement only. It should not be used to evaluate color and resolution. Image defects may not be visible unless the original is viewed at 100 percent. Mural files must be built in one single layout. Minimize the amount of type crossing over panel breaks. • What is the difference between raster and vector? The two types of digital artwork we work with are raster art and vector art. Raster art includes digital photos as well as designs made in Photoshop®, and it’s made up of defined pixels (tiny dots of color). Because there’s a fixed number of pixels in the artwork, it cannot be enlarged without becoming pixelated or blurry. Vector art includes designs made in Illustrator® as well as some PDF documents, and it’s made up of lines and shapes defined by equations. It’s created mathematically, so it can be enlarged endlessly without any degradation. • How do I check my file’s resolution (dpi)? Note: Be sure to check both the Document Size and the Resolution when you’re working with raster images! The final artwork must be 100 dpi at full print size, so if your final print is 30″ x 96″, that’s 3000 x 9600 pixels! • How do I make sure my file is CMYK? What does this mean? RGB (red, green, blue) is the color output of your monitor, but CMYK (cyan, magenta, yellow, black) is the color output of most printers, and they don’t mix in exactly the same ways or make all the same colors. By setting your document to CMYK for us, you avoid any undesirable color shifts when we send it to the printer. • How do I outline or rasterize fonts? Note: This step makes the type uneditable, and should be done only when you are finished making changes! Why do we ask you to do this? Our printers don’t have access to every font you or your designer may have on your computer. By changing the type into an image, you ensure that we’ll be able to reproduce it exactly the way it looks in your design. Preview your files, create your proof and Email your proof to you.